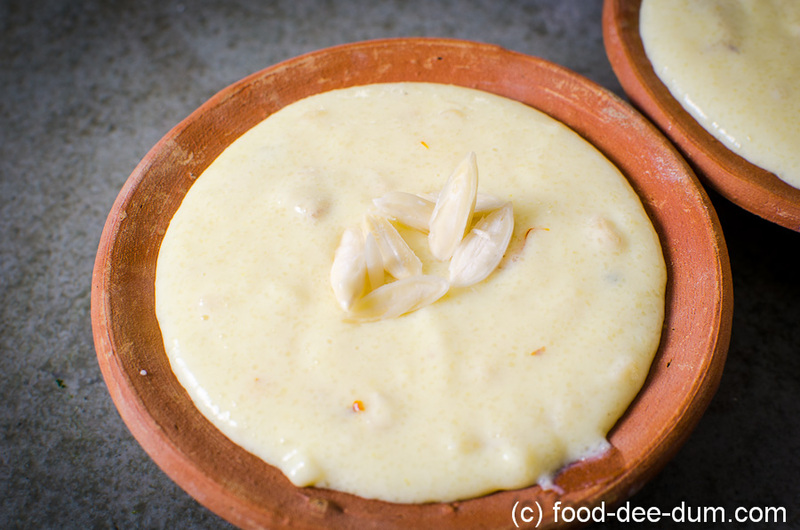 Phirni is my favourite Indian dessert, of all time. And I think I love it a little more because it’s the only Indian dessert recipe that I gave my mom. 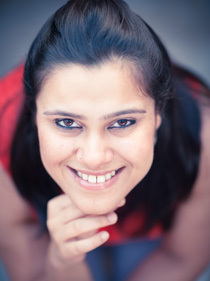 Usually, it is I who makes frantic calls for proportions and quick fixes for most North Indian dishes – sweet or savoury! 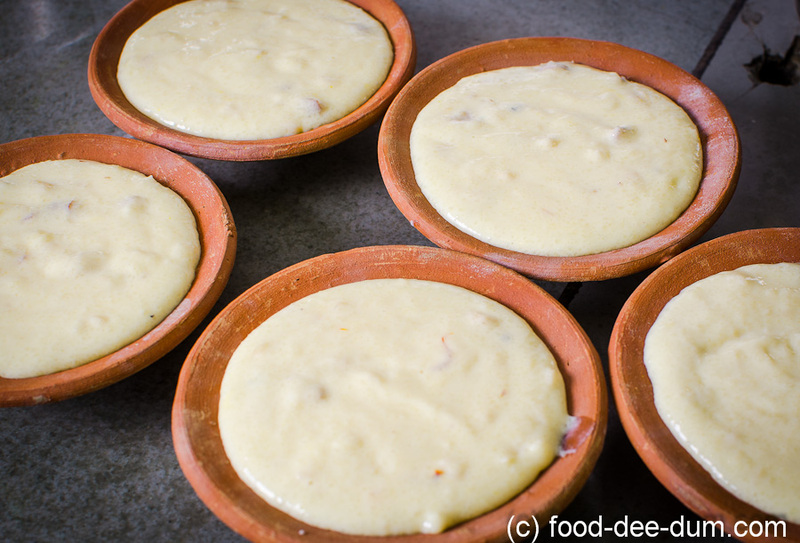 I feel like, despite the differences from state to state, the one thing that remains very similar in most forms of Indian cuisine is milk-based dessert. The boiling, reducing and thickening of milk is an age old ritual, albeit a painful one at times! 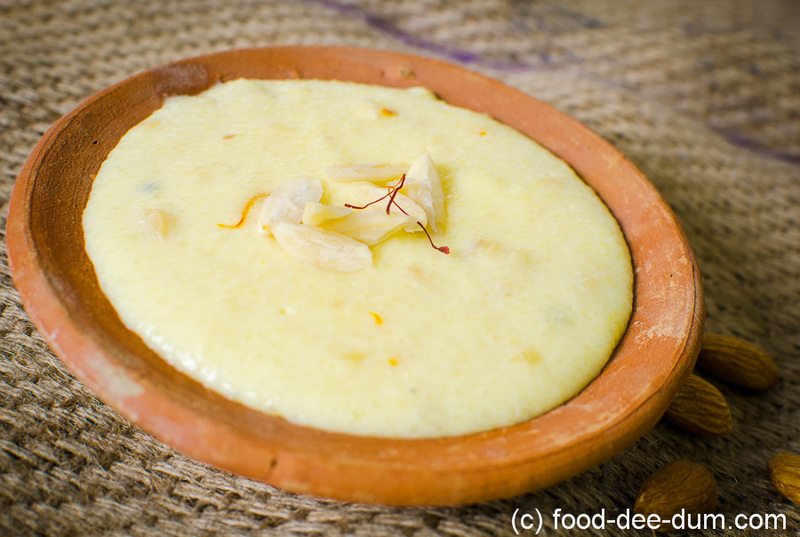 I like to kid myself that Phirni is a lighter-than-most Indian dessert. 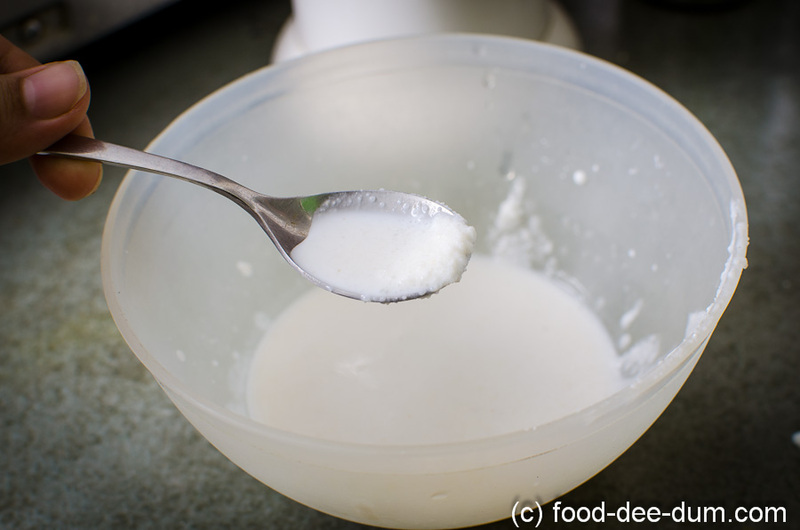 And it lends itself very well to sugar substitutes as well – since it’s added right at the end and not really cooked much after the sugar is added. 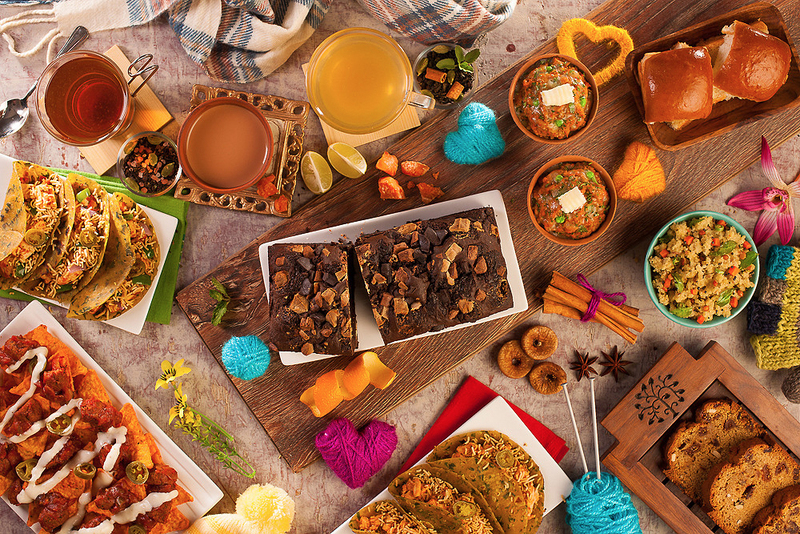 This recipe is adapted from an old cookbook by Premila Lal called Indian Cooking for Pleasure. It was published in London in the 1970s and is very obviously not written for Indians! 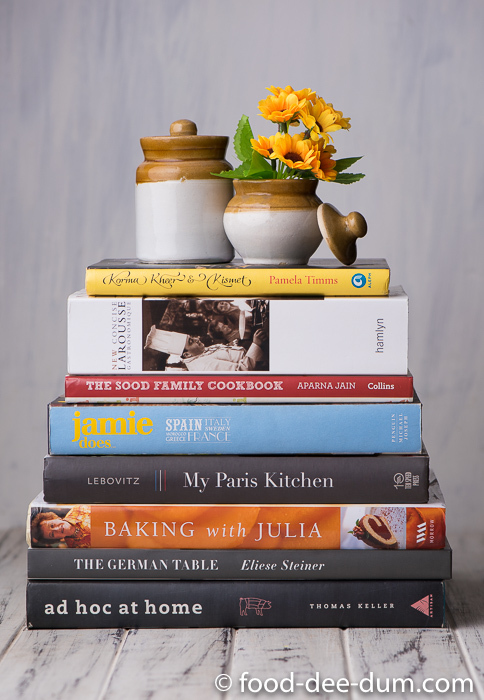 But there are some interesting things in there so I just skim through the recipe to give me a starting point and then do my thing! 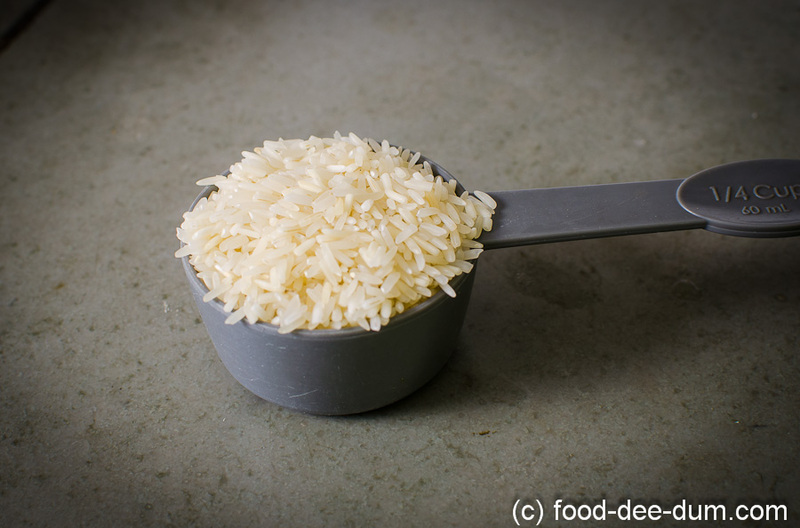 First, I measured out the rice – washed it and soaked in water for about an hour. You must soak it for a minimum of 30 minutes to a maximum of 3 hours. Then I poured the milk into a heavy bottom saucepan. This is important to reduce the chances of the milk sticking and burning. (From this, I reserved 1/4 cup + 1 tbsp milk). If you want to go slightly lower on the fat, then you can use toned milk (or upto 2% milk) but any less than that, the Phirni will not set. 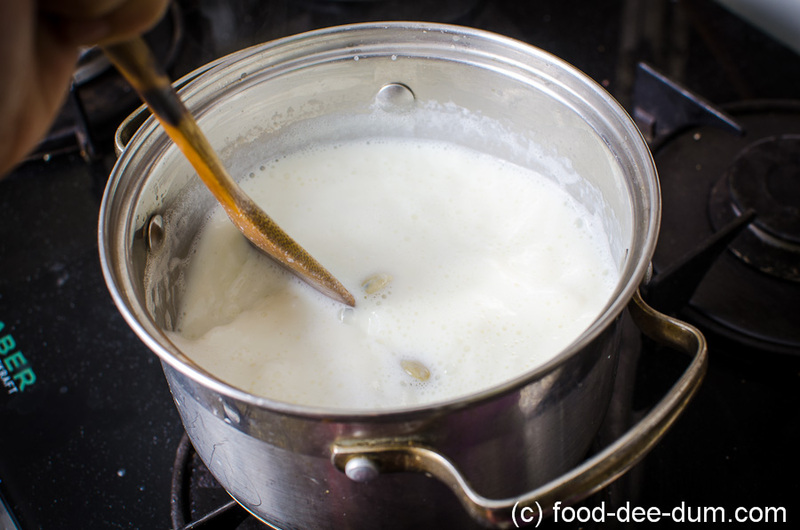 Adding the cracked cardamom pods to the milk, I placed it on the stove on medium heat to bring to a boil – stirring occasionally. 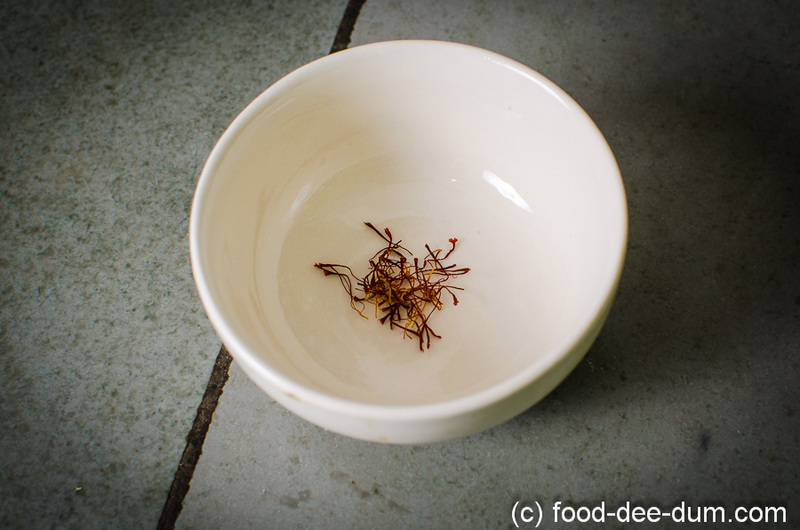 While the milk was heating, I soaked the saffron in the reserved 1 tbsp of milk. 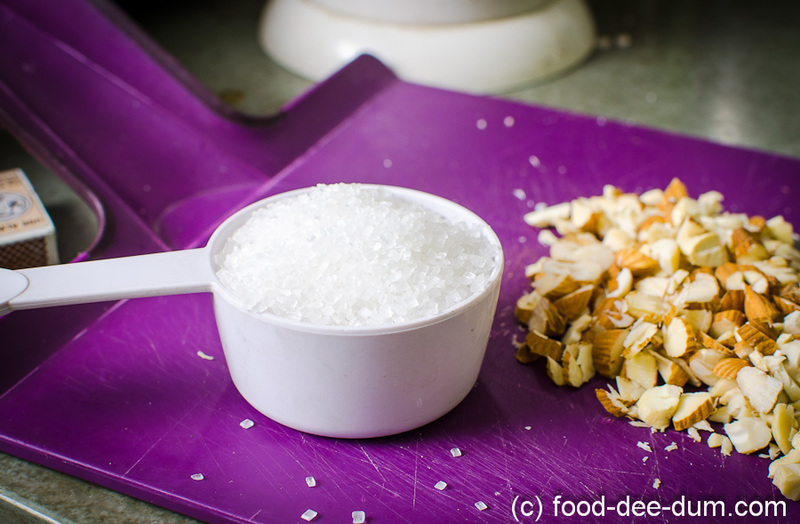 And ground the rice to a coarse, grainy paste with the reserved 1/4 cup of milk – I used to do it in the mortar-pestle but now I just resort to the grinder! Chopped the nuts, reserving a few almonds to blanch for the garnish. Coming back to the milk. The milk needs to be cooked until reduced by approximately 1/3, i.e there should be approx 600 ml left. You can eyeball this and it need not be exact. My saucepan has volume markers on one side so I found it easy to track. Once it comes to a rolling boil, watch it like a hawk. The most important thing is that it should not stick because sticking will surely lead to burning. And, in my book, there’s no worse food odour or taste than burned milk – and it just has to be thrown away. So to avoid this, you must stick right with the pan, stirring continuously. And no light stirring either – vigourously scraping the bottom and sides of the pan (without splashing and burning yourself of course) with a wooden spoon. If you need to take a break, reduce the heat to minimum and step away for no longer than 30 secs! Since I have done this many times before, I felt confident of keeping the heat between medium and high at all times. 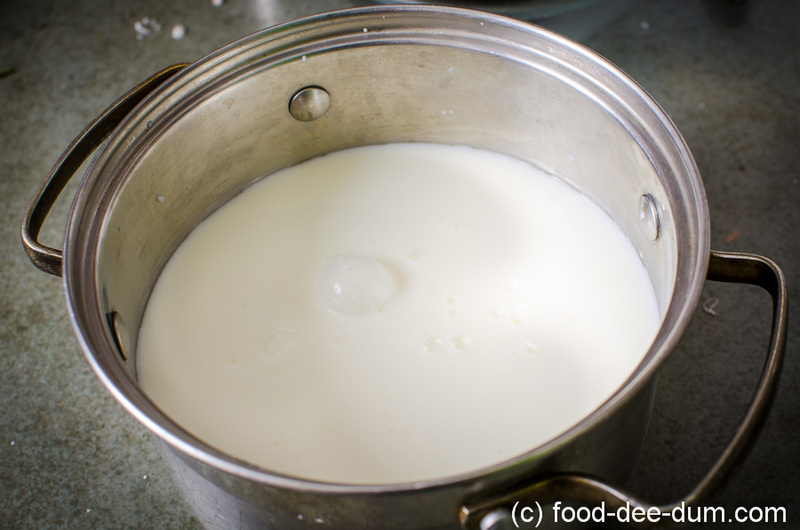 But if you’re not used to reducing milk, stay a little below medium heat. It took me about 20-25 minutes after it came to a boil. If you’re using lower heat then it may take closer to 40 minutes. 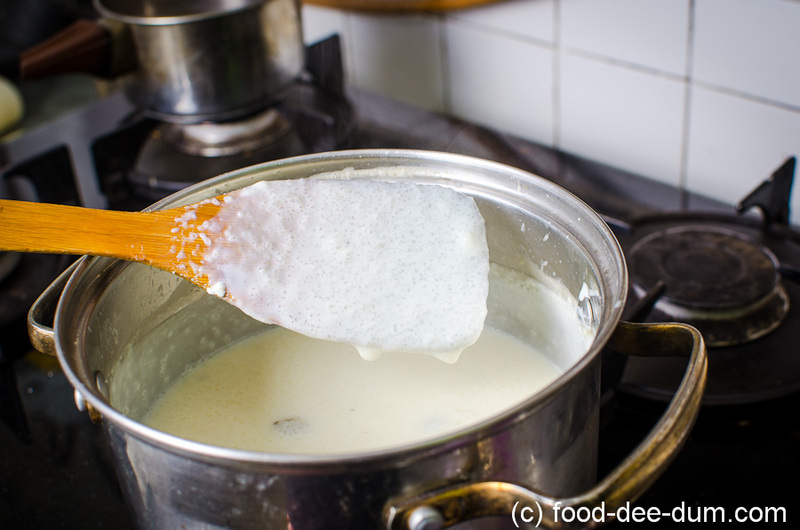 When the milk hits the desired level, reduce the heat to minimum and add the rice paste – stirring continuously to avoid lumps. Bring the heat back to medium and cook, stirring continuously till it thickens and the mixture coats the back of the spoon, about 8-10 minutes. Measure and add the sugar and stir. 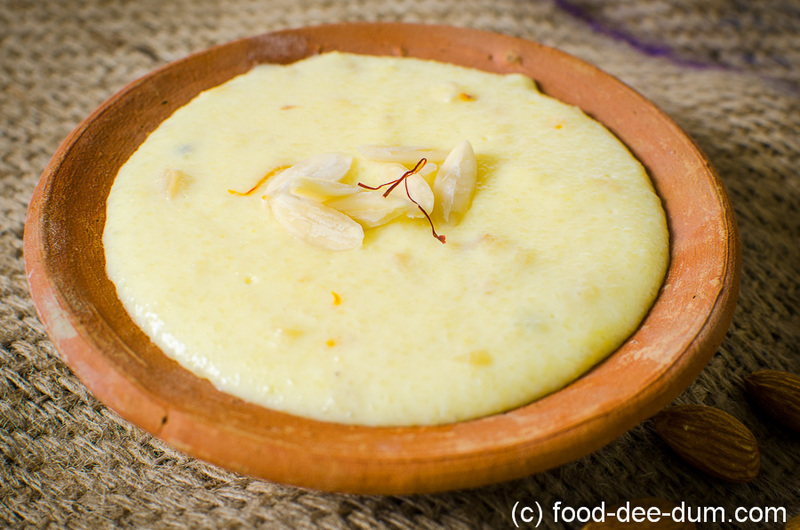 While the sugar melts and dissolves, the phirni will seem to become thinner. Don’t worry, it will return to the original thickness in about 5 minutes. See it’s back. Actually, it’s thicker. 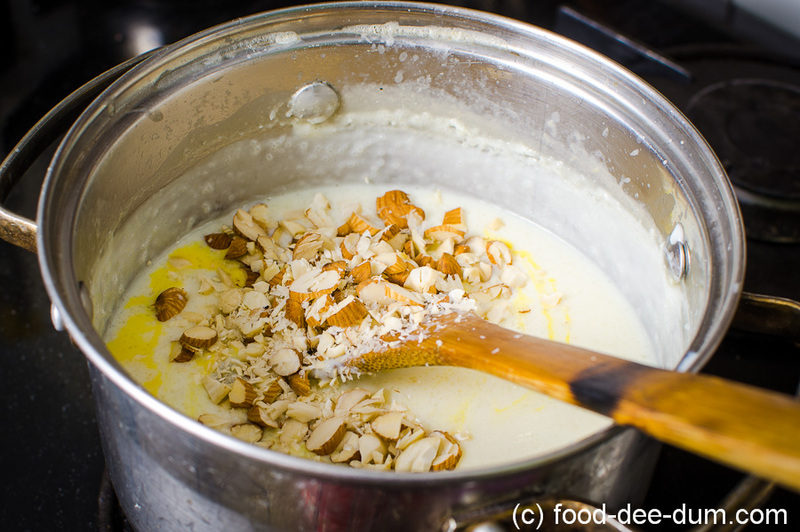 Once this point is reached, turn off the heat and add the chopped nuts and saffron milk. I stirred it for a minute or so to let out bulk of the steam and cool a little. Then I carefully spooned into individual unglazed earthenware pudding bowls. You can use any heatproof pudding bowls/ glasses. 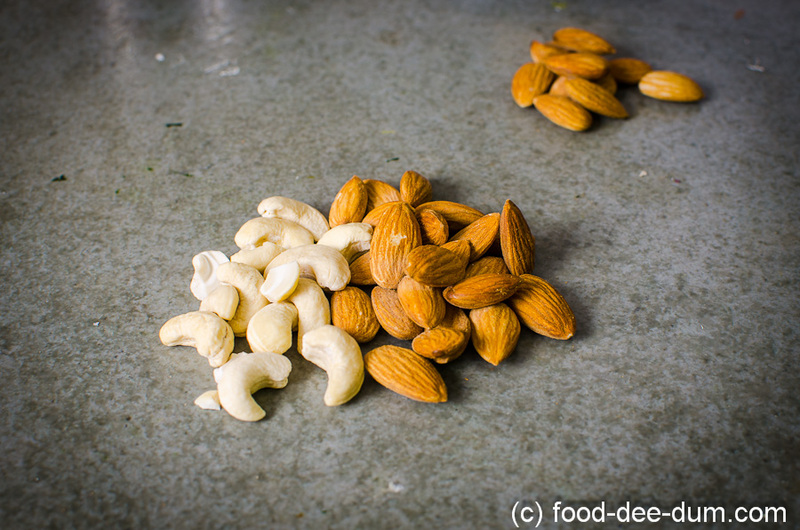 I topped each with a few slivers of blanched and peeled almonds. This is where pistachios come in handy because the colour contrast changes the look completely. If, like me, you also don’t have pistachios then a pinch of cardamom powder or crushed saffron could bring in some contrast. Allowing them to return to room temperature, I then chilled them in the refrigerator for about 3 hours before serving. See how the saffron brings in more colour with time? And then I dug in! Yikes! That almost looks like teeth marks! 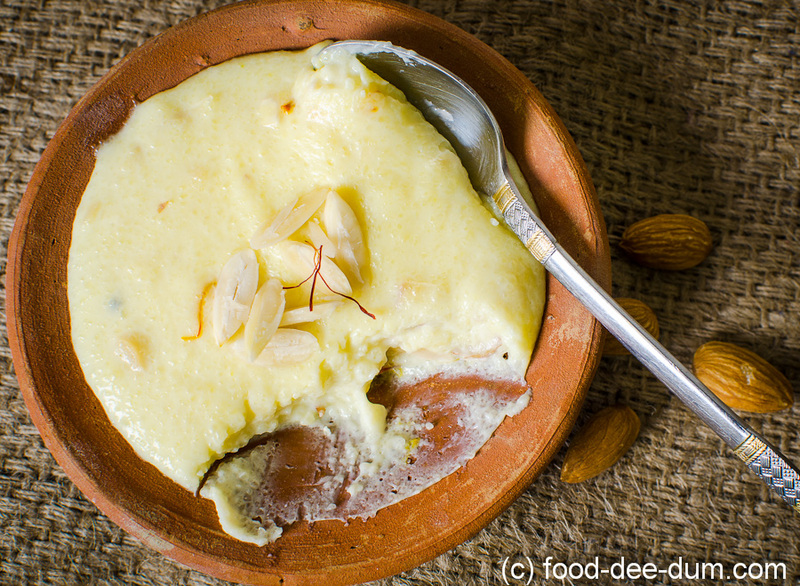 I can’t talk any more about Phirni without sounding gushy and love-struck. So just go on and try it for yourself. 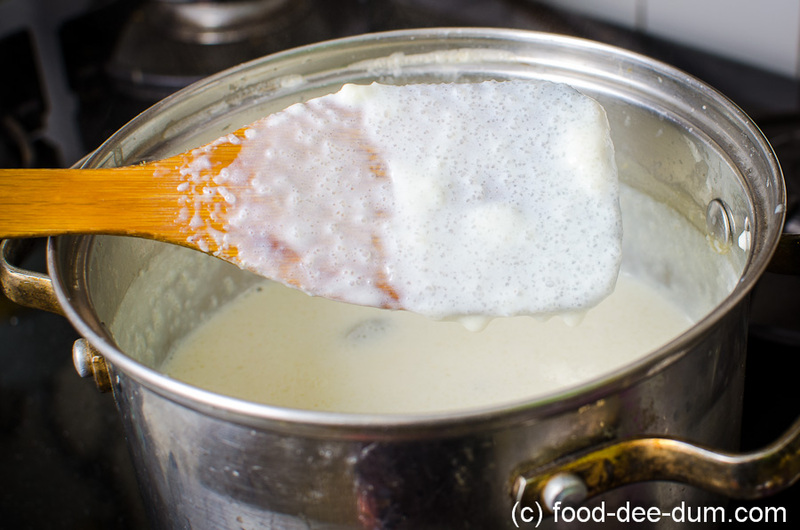 If you don’t want o stand over the fire reducing the milk, then you can use 1 cup of condensed milk and 1 cup full cream milk. Mix and bring these to a boil. Then proceed with adding the rice paste etc. Be sure to modify the sugar accordingly because most cans of condensed milk are sweetened.